The Cochise returns to the Blizzard Freeride line with some stated changes for 2014-2015. Most notably, Blizzard claims that this year’s version is 15% softer, and now has 2 millimeters of camber underfoot. 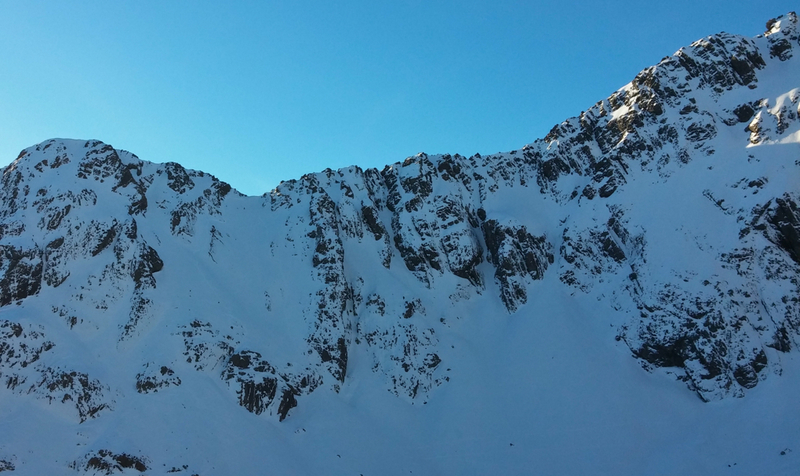 I’ve been skiing the Cochise for much of the past week at the Canterbury club fields of New Zealand, and have found the Cochise to be a great ski for the terrain here as well as the current conditions. Most of the skiing I’ve done on the Cochise at Broken River, Mt Cheeseman, and Temple Basin has been on relatively firm, chalky snow. As I mentioned in my review of the DPS Wailer 105 Hybrid T2, the Cochise has felt damp and predictable in these conditions. The ski is also very easy to quickly scrub speed or stop, which inspires a lot of confidence to go ahead and ski fast. In fact, I would say that the Cochise is better at this than any ski I’ve used in this waist width, and even when skiing firm bumpy snow, I felt little hesitation in letting them run. The edge hold of the Cochise is also quite good. Once I locked into a turn, I’ve been able to ride a relatively clean edge in firm snow. While skiing at Mt Cheeseman, we spent most of our day with a group of ski instructors who were all on freshly tuned slalom skis. While chasing them around, I wouldn’t say that I was making quite as clean and crisp carves as they were, but I was able to leave parallel, railroad-like tracks in most places, albeit with a bit of a larger turn radius. Paul Forward on the Blizzard Cochise, Mt Cheeseman Ski Area, Canterbury, New Zealand. Overall, I was impressed that the Cochise was damp enough to carve hard in these conditions while still being much more apt to break free on demand to alter turn shapes or scrub speed. The rocker line and tip splay of the Cochise are some of the key ingredients that allow it to break free so easily, but its design does have some drawbacks in firmer snow. Chief among these is the delay in feeling the Cochise’s tips engage when initiating a turn. 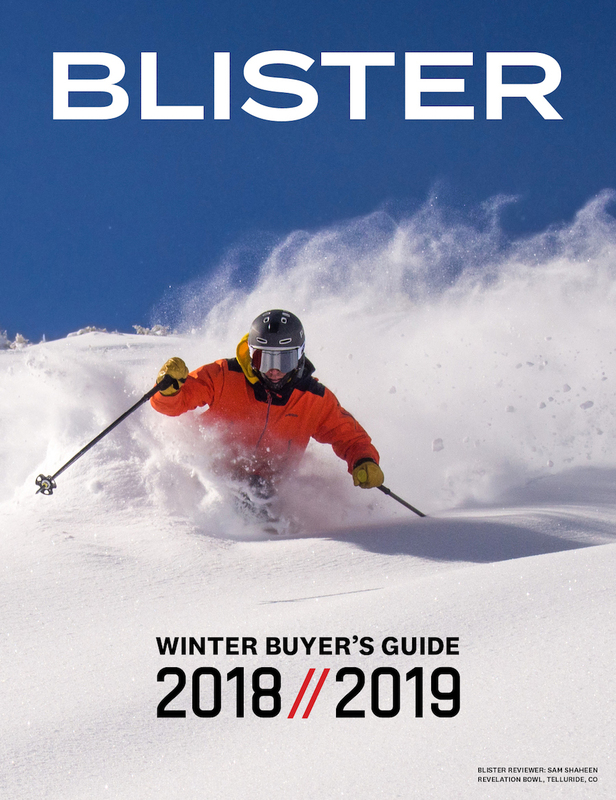 To be fair, this is a drawback of most skis with tip rocker—the more splay a ski has, the harder it is to engage the tips to help bend the ski into the top or middle of a turn. I notice this most when making quick turns on hard snow, or when jump turning in challenging conditions, where I appreciate the reassuring feel of a less rockered / more traditional tip engaging early, making it easier for me to land on an edge with confidence. Paul on the Cochise – he’s the speck near the top of the saddle of “Little Phipps,” Temple Basin. The upside of the Cochise’s design is that the ski feels less hooky and is more maneuverable than it would if it had less tip rocker. An additional downside of the Cochise’s relatively deep rocker line and tip splay is some loss in stability in very firm conditions while running bases flat. In such conditions, the 185 Cochise feels short and is quite vulnerable to being knocked around. But this can easily be remedied by laying the skis over a bit and engaging more of the ski. In my time on the Cochise so far, I can’t say that I’ve noticed any more rebound than my first generation 193cm Cochise, or that I’ve found any clear difference (positive or negative) in the Cochise’s hard snow performance. So if you were worried about this particular change to the Cochise, neither Will Brown nor Jonathan Ellsworth nor I have yet found any reason why you ought to be. Cold, clear nights and warm days have allowed for a significant amount of faceting and decomposition of wind and sun crusts on certain aspects and areas of Broken River, Cheeseman, and Temple Basin, so we’ve had some opportunities to ski some recycled pow. I don’t tend to be impressed by the powder performance of 105mm-waisted skis, and in deep pow, I don’t think the Cochise will turn out to be much of an exception to this, even though it now has slightly softer shovels that may facilitate a bit better flotation. We’ll see. But on this trip, the shallow, faceted snow we’ve skied has been relatively well-supported by firm snow or underlying tussock—negating the need for the Cochise to provide significant flotation—while the Cochise’s tip and tail rocker maintains the ability to slash and drift with surprising ease. That said, based on the mediocre-to-poor powder performance of my 193cm, 1st generation Cochise back in Alaska, my suspicion is that in deep powder conditions, I’ll still be wishing for a wider ski. The same attributes of the Cochise that allow it to ride a stable edge yet still break free on demand in both hard snow and recycled pow, lend themselves to good performance in manky, heavy snow. The dampness of the Cochise’s construction smoothes out irregularities, while its rocker profile allows for easy speed scrubbing and direction changes. But as I noted in my initial look at the DPS Wailer 105, the Cochise felt a little less stable in wet, heavy snow than the slightly stiffer and less rockered Wailer 105. Paul Forward on the Blizzard Cochise, Temple Basin Ski Area, New Zealand. How do the 2014-15 Cochise and the Line Supernatural 108 compare? Lots of folks curious about the Cochise vs. Supernatural 108, so I’ll jump in. We haven’t yet skied the new Cochise on groomers, but my suspicion is that THAT is where the two skis might end up feeling the most different. The 108s are extremely fun to carve. We’ll see about the new Cochise. But we’ll A/B-ing the two skis back in the USA as soon as possible. The groomed runs were relatively soft carving with man-made harder surfaces here and there. Terrain off the beaten path (un-groomed) was a mix of soft settled snow, wind worked denser crud and stiff crud with a few bumps. Sadly I was unable to ski deep crud or un-tracked pow. (waiting for the next storm). To test the original Cochise vs. the 14/15 new Cochise I swapped out skis half way down each run with my brother. Many described the old Cochise as a fabulous smooth crud ski that happened to ski everything else really well. The new 14/15 Cochise is even quieter and smoother. It has a very big sweet spot. It’s ridiculously calm going blisteringly fast (pun intended) on softer snow. However, it’s not as dynamic when edging on firm snow and there is less snap when it’s loaded up. Frankly, I missed the hard snow bite immediately. My brother (awesome skier) felt the same way. Granted, it was not Utah deep and soft snow while comparing the two skis (I have a feeling the new Cochise will slay that stuff). But it was not icy conditions either. The original Cochise was great in the soft AND held a carve on the firm. For me, that edge grip was partly why the original Cochise was loved. I’m sure many will disagree with me as there is a trend toward softer, easier skis. The new 14/15 Cochise is more accessible to more skiers (still not intermediates). All that said, if you’re able to swing funds for the super smooth 14/15 Cochise (softer days) AND a second ski to rip the firm faces you’ll have a very sick two ski quiver. PS: I suspect many people try the Cochise in too long a length. Then describe it as a burly charger. Try the 177 cm if you weigh less than 185 lbs (old or new model). It’s still completely stable and really fun. If you mount it 3/8 inch back it will charge like a bigger ski. Of course for large humans and/or wide open Ragers… longer will make you smile. About me: Started skiing at 3. Race train and competitions up to college (Maine). Then 25 years ago I moved to Snowbird/Alta to ski powder and make tram laps with the local Bro’s. Stats: 5′ 9″ 172 lbs. .
Has the exact same construction except for a small change in glass layup which affects the longitudinal flex and has zero affect on torsional stiffness. We’re talking 10% – 15% softer max in the 185, the 193 is slightly more. The new ski actually has more grip on hard snow than the old one. Paul I’m looking hard and long at the 14/15 Cochise and Supernatural 108. I’m 5’11 225lbs advanced intermediate. I read Jonathans comparison of the 13/14 Cochise to the Supernatural. Do you feel the 15% softer of this years Cochise would put these on equal ground (as for overall stiffness)? Or does the Cochise still have stiffer shovels for crud bashing? Hey, Kyle – if you haven’t already, check out our “Vs.” review of the 14/15 Cochise and the Supernatural 108. Can you comment on differences in stiffness compared to previous versions? There are unproven rumors around that it’s got stiffer since it 1st came out, I skied only the 2nd year 12/13 (dark red) and currently own the 3rd year version 13/14 (blue/red) I haven’t noticed any difference between demoing the 12/13 and skiing the 13/14 but most people insist to say the 13/14 version is stiffer and the 15% softer 14/15 was supposed to bring the ski to its original 11/12 stiffness, but no one knows exactly since Blizzard doesn’t speak about the first 3 years getting stiffer, the only comment is about 14/15 being softer. Also the camber is really weird, since based on the picture profile it doesn’t look any difference than my 13/14 version which also shows a small bit of camber! Longer answer: Yes, lots of rumors and statements out there (and by the way, that “15%” number – perhaps it really is 15% and not 14% or 16%, but how they arrived at that specific percentage … I have trouble believing that “15” is more than an approximation in any case. So more important: Will Brown and Paul Forward and I all feel like this Cochise is skiing really well, and none of us view it as a significant departure from the Cochise we’ve skied in the past. If you’ve liked the Cochise in the past, you’ll like this one. If you haven’t liked the Cochise, none of us can yet point to anything we’ve experienced on snow to say that you’ll now clearly like the 14/15 Cochise. Looking forward to a comparison to the Supernatual 108. I’m looking for something for tracked out powder and crud. The bumps form quickly here so should be able to handle those in a pinch also. I ski185cm hell and backs most days in Aspen, and Line Influence 115 on the powder mornings. Any insight would be appreciated. Tip/tail detune on skis tested? 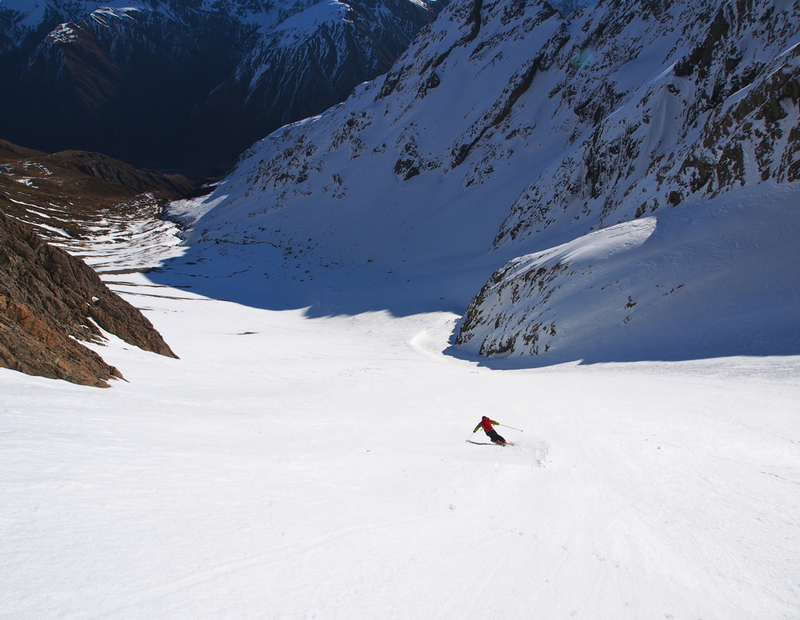 Hi, Dave – I jumped on these first down in NZ, and we got on snow before things softened up. Skiing hard, variable off-piste stuff, the edges definitely felt sharp. But the hard granular snow seemed to be doing their own detune job, so I just kept skiing them. By the 2nd half of day 2, the skis very much had that distinctive, almost buttery feel of the Cochise that we thought was so interesting when we reviewed them a couple seasons ago. Long answer, but true story. Thanks Jonathan. Makes sense that rockered, non-tapered tips & tails should be slippery. I would be interested to see a detailed comparison/contrast with the earlier models, as well as other skis in the category, including the Line Supernatural 108. A lot of people held off on buying the Cochise upon learning that there were some changes for the upcoming season. Are those changes really significant and worth the extra money? Or are the differences negligible and earlier seasons’ models are not too different (except top sheets)? Who is going to be most pleased with the changes brought in this season’s model? Thank you. Jonathan ~ You answered my question before I knew it! Do the slight modifications to the Cochise, including the addition of some camber, bring this ski closer to the Bonafide? Is this now the wider “big brother” or do both skis still remain far enough apart in their charateristics? Thank you. The Bonafide and Cochise have very different sidecuts. Cochise will make a much longer turn and will be easier to throw sideways and scrub speed especially in variable snow. They are still two different skis even though the slight tweaks brought them theoretically closer in design. However the Brahma, which Blister will be reviewing here in the upcoming months, is very similar to the Bonafide just 10mm narrower underfoot. I love your ski reviews, they’re pretty much the reference in the business right now when it comes to attention to details and asking the right questions when testing. It’s not an easy task, but you do it extremely well. Great job, guys and girls. But being a picky prick, I would like to see a more detailed definition of the respective skis mounting locations. 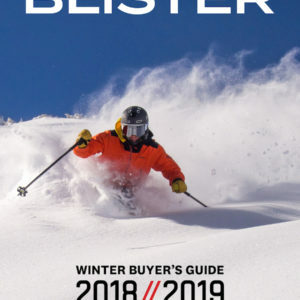 Most skis are tested on the factory recommended line, which is fine and the way I think skis should be tested initially. But it would be great, and make the reviews even better, to know where that factory line is located from true center. It says a lot about the intended character of the ski, and, well, us geeks have another thing to geek out about. 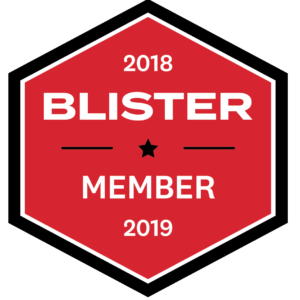 Now for the “picky prick” part: it’s a good question that warrants a longer answer, so we’ve actually posted it as our Blister Topic of the Week. You can find it under the “Features” section of the nav bar. Looking for some sizing feedback. Have decided the Cochise makes sense to add to my quiver. I’m an east coast skier. Have an excellent front-side carver. I have a dedicated powder ski that works if we get dumps and is competent enough to handle deep stuff for cat trips to BC. Would like to add a mixed condition ski – something to grab when I miss the storm by a couple of days, something for when we are getting snow during the day that tends to pile and bump quickly. You know – just variable conditions. I’d also like this to be a quiver of one ski for quick trips to CO and UT. I’ve been eyeing the Cochise for a while, and think it make sense (though have been reading reviews of the Supernatural 108 and 100). I’m 5′ 8″, 175lbs; I’d say advanced but not as aggressive as I used to be. Curious whether you guys think: 1) the Cochise makes sense and 2) would the 177 or 185 make more sense? Q #2: for how and where you plan to use the ski, go 185, if you really will use it as a western 1 ski quiver, and you’ve already got a carver. Q #1: for you, it’s very nearly a toss up. I keep saying that in variable conditions, I can’t yet say that one of these skis is clearly better than the other. I suspect that the 108 may still have the advantage on groomers, but you already have your carver, so you might not care. Sorry that isn’t very helpful, but I can’t yet say anything more definitively. I just demoed the 2014/2015 Cochise and it was awesome. While skiing it, I was actually thinking I’d be interested in a bit more ski (and this was on pretty rough conditions.) There are still a few deals left on the 2013/14 version of the Cochise… which sounds perfect. That said, “15% stiffer” (or rather, if you do the math, 18% stiffer) sounds like it could be a big change. 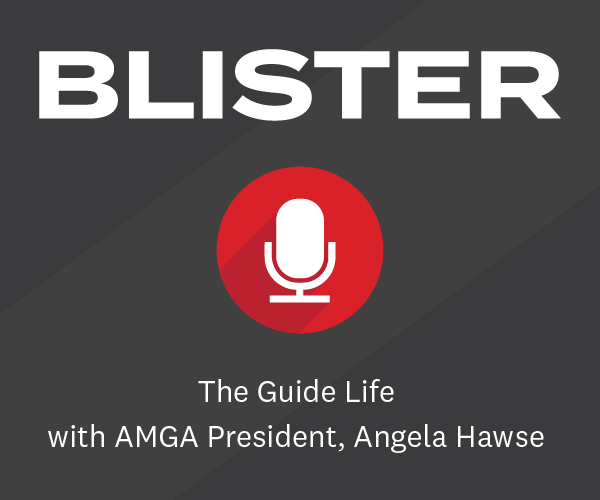 You and others at Blister have said that you haven’t noticed a big difference between the 2013/14 and 2014/15. So here’s my question: if I’ve demoed the 2014/15 Cochise (185 cm) but am looking at buying the 2013/14 Cochise (185 cm), how similar/different are they? As a reference, I’m currently skiing the the Line SFB 184 and a pair of Atomic 181 GS race skis (27M radius). I love the playfulness and balance of the SFBs (although I am a directional skier) … but as Jason has said, they aren’t chargers. 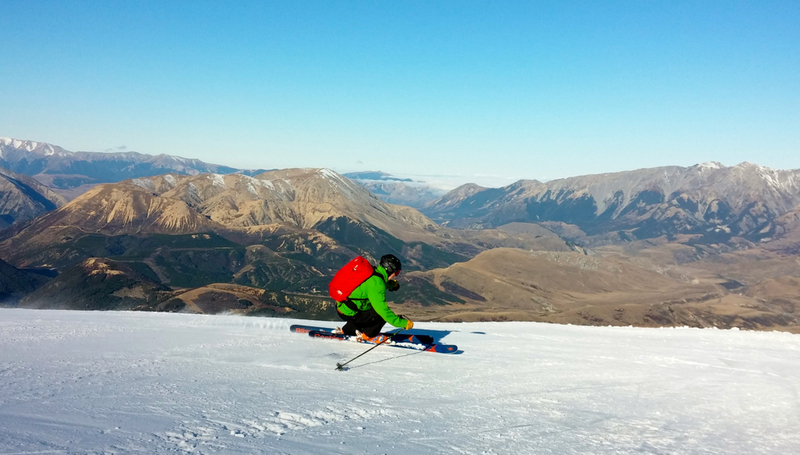 The Atomic race skis are fun on ice and groomers, but are a ton of work off piste. The 2014/15 Cochise was an amazing balance between the two. I’m afraid that we don’t have a pair of 13/14 Cochise to directly A/B against the 14/15. Of course, you can see AltaBird’s comments above, but beyond that, you can read Paul Forward’s review of the 14/15, our 3 reviews of the 13/14 185cm Cochise, and our A/B comparison of the 14/15 Cochise and the Supernatural 108. That’s the best we can offer at the moment. any idea when you guys are gonna get your hands on the new carbon tip/tail cochise? The short answer is, “Probably immediately.” The longer answer is too long, so we’ll just cross that bridge if / when we have to. My guess is that you are at SIA right now schmoozing with industry folks. After several cocktails this weekend please go to the blizzard booth and request the new cochise and bodacious. If they refuse you, grab 2 pairs, sprint out of the convention center, mount, ski and review. Very interested to see how the carbon tips and tails, taper, and reduced side cut will effect two awesome skis. Hope it improves cochise soft snow performance and bodacious deep snow performance. Tom, when you’re note came in last night, we definitely weren’t schmoozing – I was replying to reader comments while Will finished his Helix review. As for getting drunk and stealing stuff, we are not, in principle, opposed to that. It seems like i cant make up my mind on either the 185 cochise or the bc q lab(183 or 190). Im a strong skier who skis fast, but I also do a lot of tight chute & trees, and like to jump a lot. This will also be my backcountry ski (mainly for kicking horse slackcountry and alaska) with the g3 ion binding that i already have. Any kind of advice will be appreciated, thanks again for your great review! I have a pair of 2013 Cochise (185) w/ Marker Jester bindings I will sell for a very good price. They are In fantastic condition. If interested leave a message here that says “interested” and we’ll figure out best way to talk. Thanks. The two skis you mention are a little different. The Q BC lab is the lightweight version of the Q lab. The Q lab and the Cochise would be more of a comparison. If you want a lightweight ski that is more comparable to the Q BC lab check out the new Zero G 108. It’s the lightweight version of the new 15/16 Cochise. It is weight comparable to the Q BC Lab however it is 108mm under foot. Hi, Emile – Paul hasn’t been on the 190 Q Lab, so I’ll jump in here. I believe my reviews of those two skis paint a fairly clear picture of their strengths & weaknesses, so I guess I’ll throw it back to you — what, exactly is your question / what are you unclear on w / r / t their performance differences? Jonesing for some ski reviews. Are you guys heading to South America soon? You know what? You’re right – it’s time for some ski reviews. Many thanks for the great review and insights. Wanted to get your feedback in the mix while I contemplate purchasing the 193 Cochise’s. I’m a 6’8″, 230lbs hard charger looking to upgrade from my 2010 k2 Coomback 188’s. 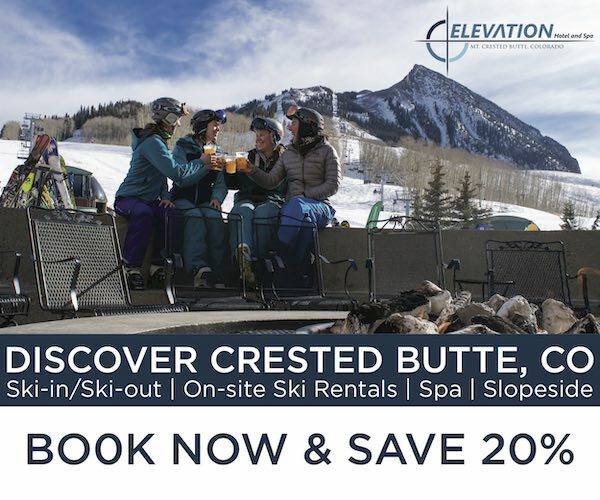 I ski primarily in Tahoe and CO, but also have trips planned to Montana this winter. Looking for a playful ski that doesn’t sacrifice on-piste performance. The Cochise sounds like almost exactly what I’m looking for, but some of the comments about it’s dampness give me pause. 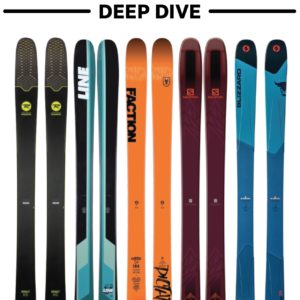 Currently debating between the Cochise or the last generation of Super 7’s, admittedly pretty different skis straddling the line between one-ski quiver/driver and playful surfer. Previously demo’ed the Super 7’s in 10+ of fresh in Steamboat a couple years ago, loved ’em, but would really like a ski I can rip on groomers and in variable conditions while still catching some at least slightly surfy vibes on powder days. I’m leaning towards the Cochise, but wanted to get some opinions and “devil’s advocacy” before making a decision. Any and all feedback is greatly appreciated! Hi all, thanks for this awesome review! I am wondering if you could shed some insight on my particular situation. I just bought the 14/15 Cochise at a ski sale, at 177 cm. I have been skiing the 178 cm 09/10 Volkl Mantra since, well 09/10, with a chunk of edge missing for the last couple. My question is: am I going to be missing the length? will the early rise in the Cochise compared to the mantra of the same length feel significantly shorter? I am 6’1”, about 180 lbs, and thought the mantra 178 was just about perfect, if not maybe a little small. I liked how i could really pull them in for tight jump turns in sparsely snowed chutes of Alberta, but also I like to charge through crud. any thoughts you have would be appreciated if you can any make sense of that!